Today on the blog we have some Pinterest wedding planning tips for you. We love Pinterest and have lots of popular pins for wedding inspiration on our Pinterest. But sometimes it can feel like overload when you’re first starting out. Below we’ll touch on some great ways to get started. Work from general to specific by starting with the basics like “wedding dresses” and “wedding colors” and once you’ve established your style you can use key terms that pop up as suggestions like “rustic” or “DIY” to narrow your search. Pinterest now allows you to create one giant wedding board and organize it with sections. For instance you have a section for wedding dresses, tablescapes and more all under Wedding. This means you no longer need to have 10+ boards for wedding mixed in with your other boards or have to go looking for that one pin in the sea of other pins you have for your wedding day. This also allows you to show your caterer only food related pins and not have them mixed in with your boudoir inspiration. This is one of the best things you can do with your board. Sharing your wedding board with your planner and vendors gives them a tangible visual of what you want for your wedding. This helps them better understand your vision, allowing them to bring your dreams to reality. 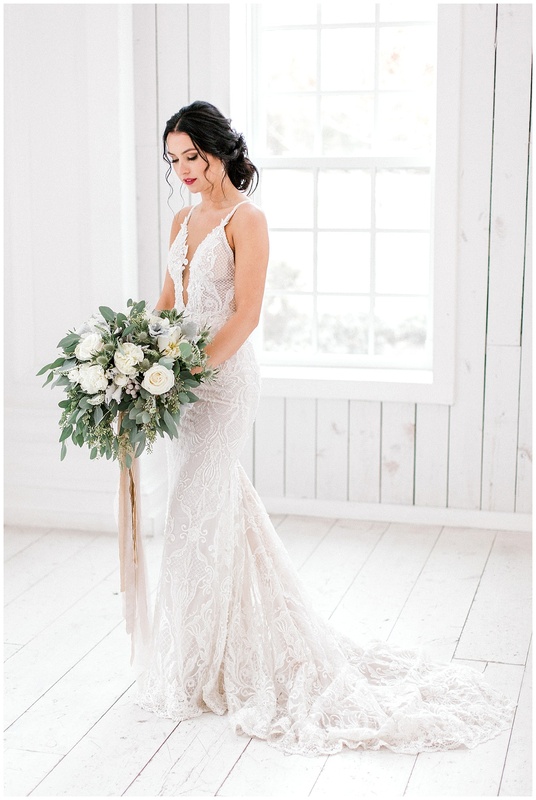 With that being said, it’s important to not get to caught up in what everyone else is doing and what your wedding should look like according to the latest bridal trends. You and your partner’s wedding is very personal and unique to you. Pinterest is just a tool to help you visualize what your wedding could look like. If you haven’t yet, we encourage you to check out our Pinterest page to see what past brides have done in our barn and also tell us your tips and tricks for planning your big day using Pinterest in the comments.